SO-CAL offers a full range of Walker radiators; however, two types of the popular Walker Cobra Z-Series radiators are perfect for all ’32 Fords up to heavy-duty and big-block applications. The Cobra Z Cool-Mate Series includes an air-conditioning condenser. 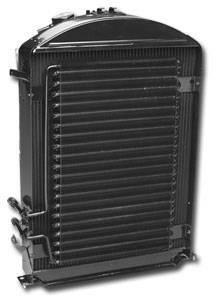 The A-V8 radiator is for SO-CAL A-V8 (1928-'29 bodies on '32 frame) with '32 grille shell.